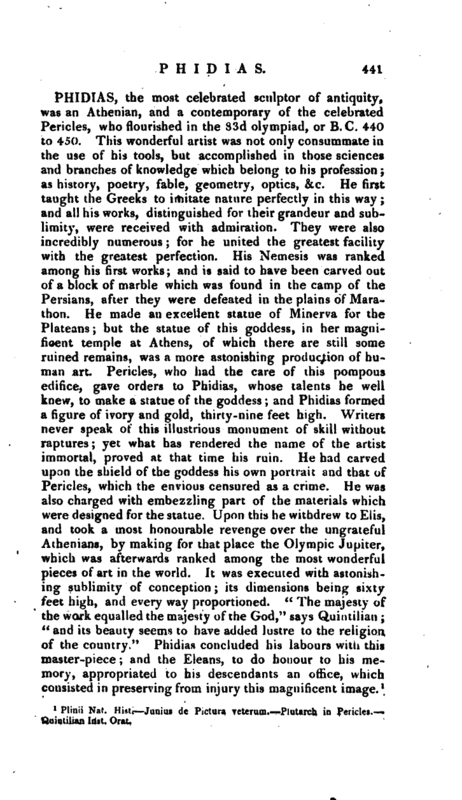 , an eminent philosopher, and the first preceptor of Pythagoras, was a native of the island of Scyrus, one of the Cyclades, near Delos, and flourished about the 45th olympiad, or B. C. 600. 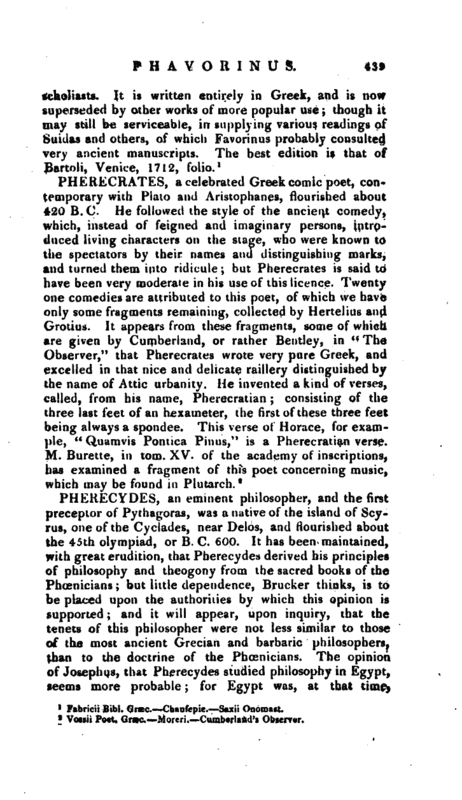 It has been maintained, with great erudition, that Pherecydes derived his principles of philosophy and theogony from the sacred books of the Phoenicians; but little dependence, Brucker thinks, is to be placed upon the authorities by which this opinion is supported; and it will appear, upon inquiry, that the tenets of this philosopher were not less similar to those of the most ancient Grecian and barbaric philosophers, than to the doctrine of the Phoenicians. 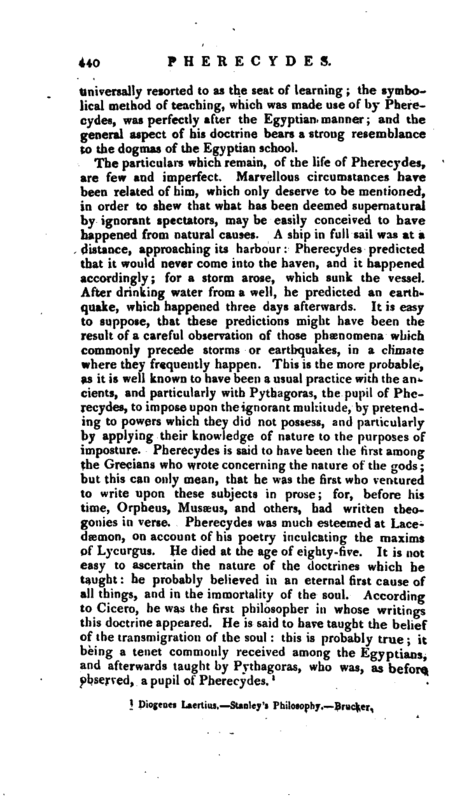 The opinion of Josephus, that Pherecydes studied philosophy in Egypt, seems more probable; for Egypt was, at that | universally resorted to as the seat of learning; the symbolical method of teaching, which was made use of by Pherecydes, was perfectly after the Egyptian manner; and the general aspect of his doctrine bears a strong resemblance to the dogmas of the Egyptian school.